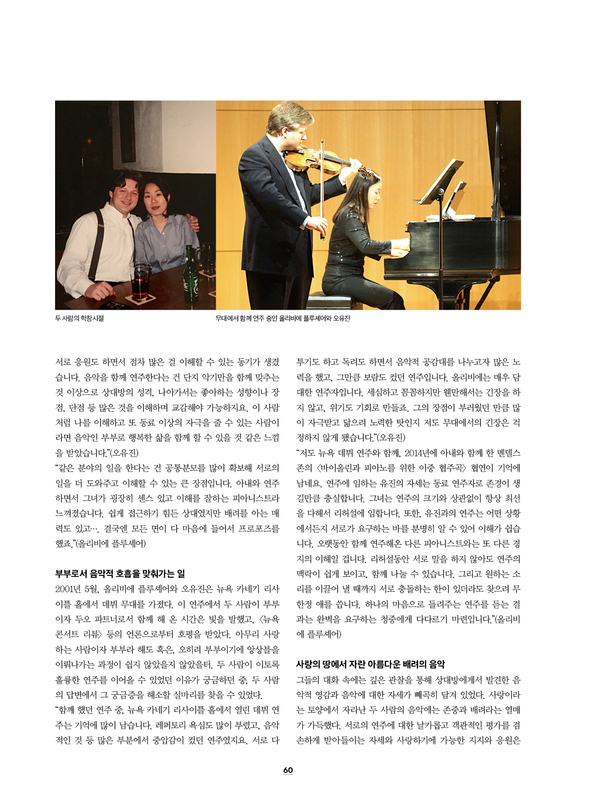 The Graduate Center Music Program is pleased to share that alumni Olivier Fluchaire and Yoojin Oh are featured in the November 2017 issue of the prestigious Korean music magazine “Piano Music,” discussing their perspectives as partners on stage and in life! Images of the article are included below. For more information about Olivier Fluchaire, see http://www.olivierfluchaire.com/. 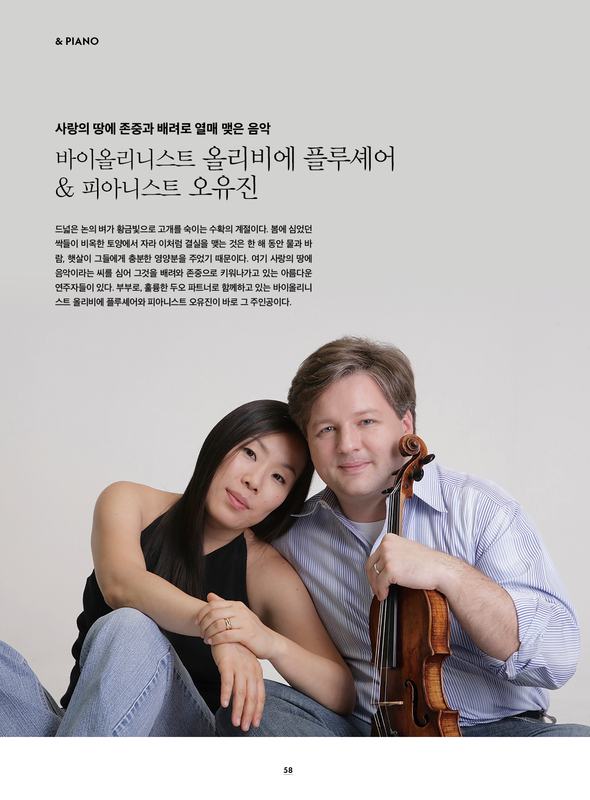 For more information about Yoojin Oh, see http://yoojinoh.com/.